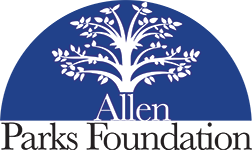 The Allen Parks Foundation and the Dallas County Cricket Club will be hosting a benefit tournament to bring the world of Cricket to Allen on June 2nd, 2018. This will be a one-day only tournament and will be played on two cricket fields at Celebration Park. 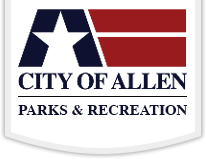 Proceeds from the tournament will assist the Allen Parks Foundation in its mission of enhancing the park system in Allen. The tournament will be limited to 8 teams. Teams should have a team captain responsible for coordinating information with their members. Teams are also encouraged to have a team name and coordinated shirts. Bragging is definitely encouraged!! Teams will include up to 10 members (minimum 6 players required per team). Cost for team registration will be $300. 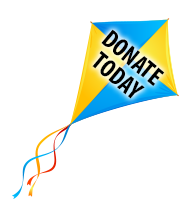 If you would like to play but do not have a team of 10, single players can also register on the website and the Allen Parks Foundation will try to find a team on which to place you. Single players can only be accommodated on an “as-space-available” basis. REGISTRATION DEADLINE FOR TEAMS AND INDIVIDUALS IS MAY 26! Games will begin at 9:00 a.m. and each game will last approximately 1-1/2 hours. A schedule of teams/games with start times will be provided to team captains prior to the day of the tournament. All teams will be divided up between the 2 cricket fields, will play each other and will be ranked based on points earned. There will be a championship game and runner up game on each field. It is anticipated that the Championship Games will start at approximately 5:00 p.m. Equipment for playing (balls, bats, wickets, etc.) will be provided for use by all teams. All you need to bring is your team!! Additional information regarding the tournament format and the match rules are provided below. After the Championship Games, there will be an awards presentation and cricket celebration at Nine Band Brewery in Allen starting at 6:00 p.m. All participants will receive a coupon for free food and a beverage. Please be sure to attend the festivities! Corporate sponsorships are also available. Please contact the Parks Foundation if you would like to support this event. This will be an over arm tennis ball cricket tournament. The 8 teams will be split into 2 groups of 4 teams, each vying for League and Plate championships. Each game will be 5 overs a side. All teams will play each other within the group (Group A and Group B). Teams will rank from 1 to 4 in each group based on points earned. Where points are tied between 2 teams, ranking will be based on head-to-head results for ranking. In case of a 3 way tie, rankings will first be based on total runs scored by each team and then secondly based on the number of wickets lost. The 1st and 2nd place teams from each group will play championship games. Each team gets to bat 5 overs per innings. Each team can have 10 playing members per game. Only 6 players can be on the field at a time including the bowler and wicket keeper. Unlimited substitutions will be allowed. Each bowler from a team can bowl a maximum of 1 over. There are no field restrictions with regards to fielding positions besides the wicket keeper. No fielder is allowed to wear gloves except the wicket keeper. Only 6 batsmen can bat from each team. An inning is declared closed at the end of the allocated 5 overs or at the fall of the 5th wicket; whichever happens first. The team that has more runs at the end of both innings wins the game. There will be no LBW. All other modes of dismissal stand. Batsmen will be forced to retire not out upon scoring 31 runs. However, retired batsmen can come back to bat at the fall of the last wicket. If more than 1 batsmen score more than 31 runs, they can come back to bat at any order upon the remaining wickets being lost. Full toss over the waist and a ball that pitches and goes over the head will be considered no balls. Overstepping on the front foot or side line will be a no-ball. Any ball that pitches more than 2 times before reaching the batsman will be a no-ball. No-ball will be 2 runs plus the runs batsmen score from it and the ball will need to be re-bowled. No-ball will be followed by a free hit where run out will be the only possible mode of dismissal for the batsman. Wides will be 2 runs plus what the batsmen can get from that wide ball and the ball will be re-bowled. 4 wides in the over will disqualify the bowler from finishing the over. The remainder of the over will be completed by another player from the bowling team. For group stage, 3 points will be allocated for a win, 1 point for a tie. No super over in group stage. If scores are tied at the end of the 2nd innings, match is declared a tie irrespective of run rate or wickets lost. For playoffs, in case of a tie, result will be decided by a coin toss. There will be 1 umpire per game and the umpire’s decision will be the final call.